Gasmet DX4000 is typically set-up to measure H2O, CO2, CO, NO, NO2, N2O, SO2, NH3, CH4, HCl, HF and different VOC´s and can measure up to 50 gases simultaneously. Additional gases can be easily added without any hardware changes. The corrosion resistant sample cell is heated to 180 °C, which ensures that the sample stays in gaseous phase even with high concentrations of H2O or corrosive gases. 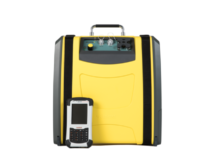 The DX4000 is designed to be used with the Gasmet PSS portable sampling system. 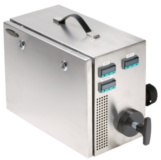 This system utilizes hot-and-wet measurement principle (no drying or dilution), which ensures that the analysis is done with a representative sample. There is two-stage particulate filtration: first one in sampling probe and the second one in sampling system. 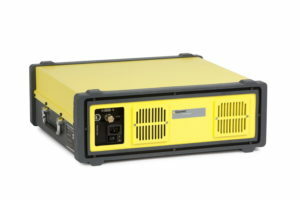 The DX4000 is operated with the Calcmet software running on a laptop computer. Calcmet provides a flexible and easy to use UI with all the tools needed for making demanding measurements in a single software. The Gasmet DX4000 has received the coveted MCERTS certification for stack emissions monitoring.